Welcome to the Winner Wonderland Giveaway Event. This event is hosted by Blog It Forward, Taking Time For Mommy, And The Little Ones Too, Put A Little Umbrella In Your Drink, and My Mommy’s World. This event features giveaways with a value of $25 or more at each of the participating blogs! Be sure to visit each blog from the linky below and enter for your chance to win! This event will close on December 15th at 11:59 pm EST. Good Luck and have a winning holiday season! Beautifully BellaFaith will be giving away a $25 Paypal cash! 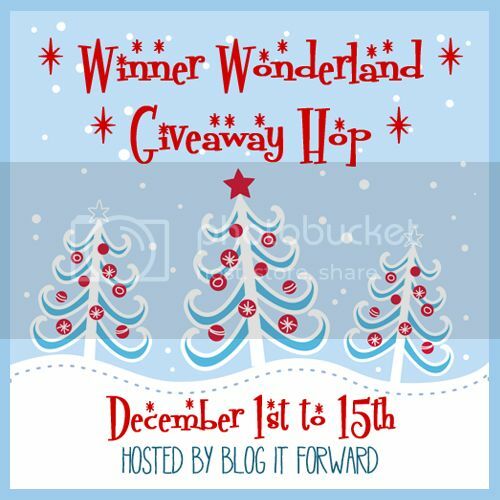 Disclosure: Please understand that Blog It Forward, along with the “Winner Wonderland Event” bloggers are not responsible for sponsors that do not fulfill their prizes. However, we are responsible for contacting our sponsors regarding the winner’s prize at the close of the giveaway. We expect that our sponsors will fulfill their prize agreement and ship them to the winners in a timely manner. Let’s Help Unilever and Feeding America #ShareAMeal!